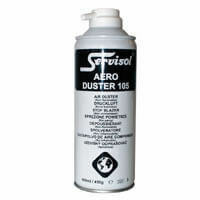 High pressure microscopically clean gas for removing dust and dirt from the most inaccessible places in electronic and mechanical equipment such as video recorders,cameras, etc. Nett contents 400ml. HCFC free.